Hey friends! We’re buzzing through November like nobody’s business!! 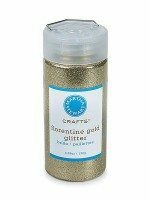 We can’t believe we are on day 5 of our Bake Craft Sew DECORATE series! If you’re new or haven’t visited in a while, we will be having Christmas and Holiday decorating ideas here on Classy Clutter for the whole month of November! We will be teaming up with our blogging friends Cindy, Mique, and Leigh Anne! 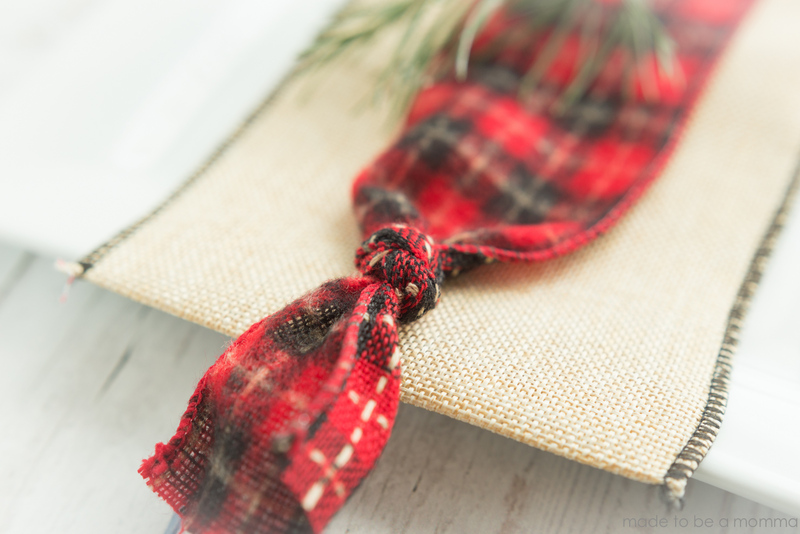 Cindy will be doing sewing ideas on SkiptomyLou, while Mique from Thirty Handmade Days, will be posting craft ideas, and Leigh Anne from Homebased Mom will be posting delicious edible gift recipes. We’re super excited about it so come back every day in November for another Holiday decorating idea! If you’ve been around a while, you know that Katie from Made to be a Momma used to be one of our contributing writers here on Classy Clutter! 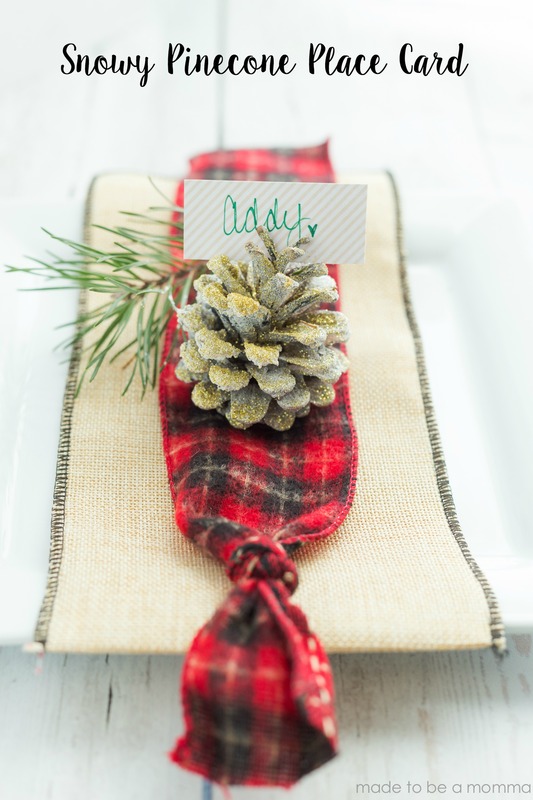 We are so excited to have her back teaching us how to make this Snowy Pinecone Place Card! 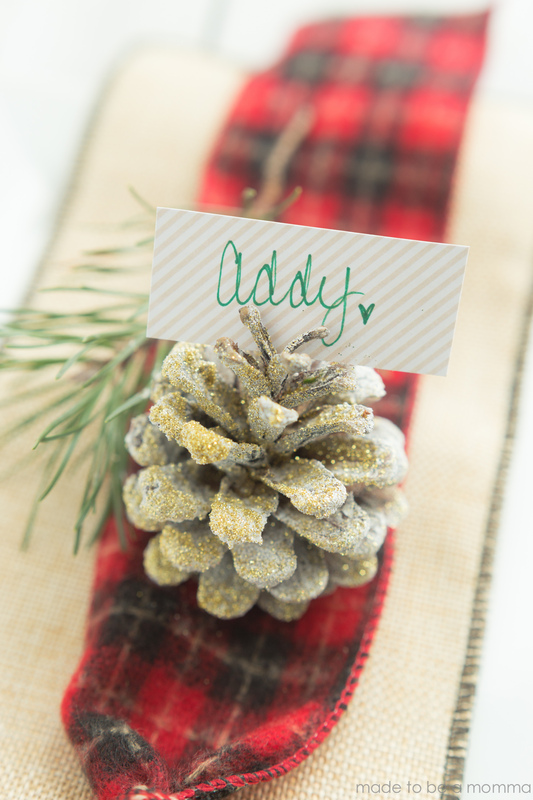 These pinecone place cards are so simple but make a big statement and I love the splash of shimmer the gold glitter adds to the pinecone. I gathered some pinecones that my two boys had found in the yard but you can also find pinecones in craft stores and even Walmart. 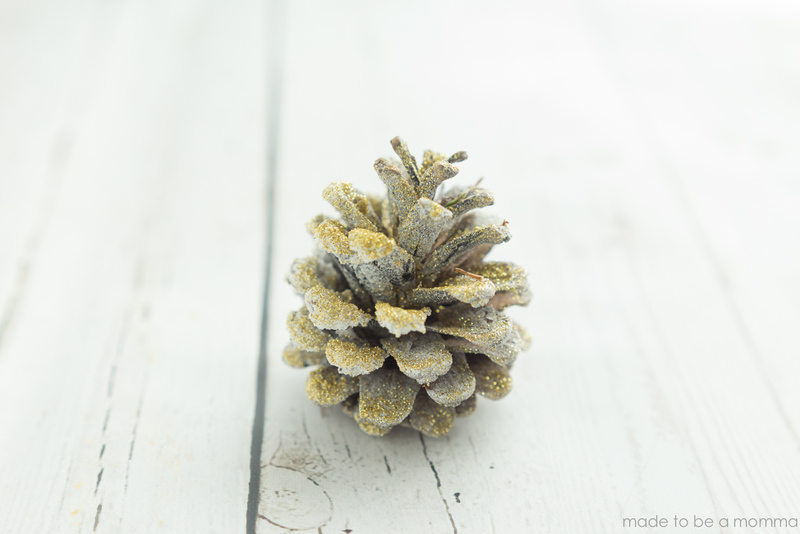 I sprayed each pinecone with faux snow spray and sprinkled some glitter on top and then allowed it to dry over night. I then cut out a small tag out of cardstock and placed it on top of the pinecone. 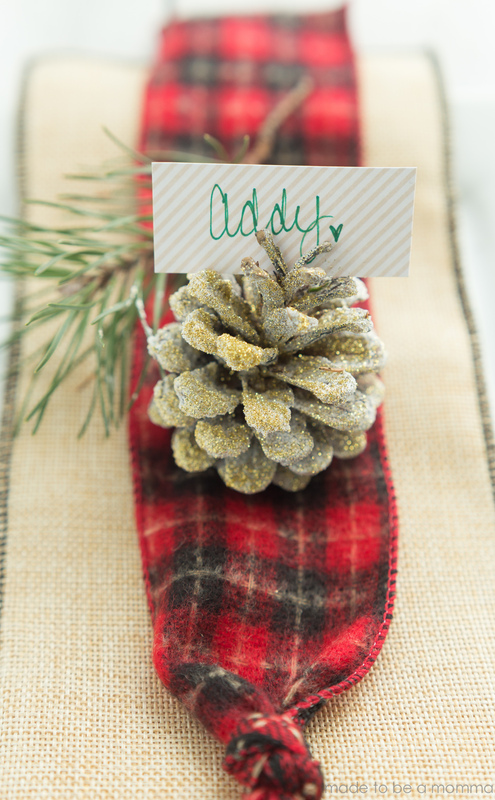 You can use hot glue to adhere the tag to the pinecone if it won’t stay on it’s own. I like to add layers of colors to my plates and I think the flannel type ribbon mixed with the burlap is just so pretty! Lastly, I added a small sprig of evergreen for a fun pop of the color green. So pretty and so simple! 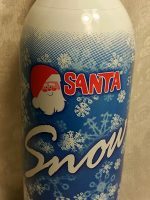 Have a wonderful Christmas Friends! Thanks so much for sharing Katie! This is so adorable! Be sure to follow Katie on her blog, Made to be a Momma, Facebook, Instagram, and Pinterest.